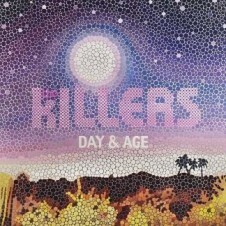 Paul Normansell painted the album art for The Killers No.1 album “Day and Age” which sold 2.4 million copies worldwide and Rolling Stone called “The Best Album Art of 2008” and NME nominated for “Best Album Art of the Year”. MTV called Paul’s art the best album art of the decade. Paul was Man of the Month in April 2010’s GQ Magazine, photographed by the legendary David Bailey. His works, known for their meticulous strive for perfection, in gloss paint on aluminium, reflecting the polished seamless surface that the 21 C images he paints strive for, have become highly collectable.